Before meeting to discuss applications, the Committee will have already decided on the maximum amount they have available to pay out for the current round of applications. This is decided in line with the reserves policy, where the minimum reserves to be held are the costs in advance of the next event less the advance income of the next event. As a result, the funds available at each round of applications will vary. Anyone who is applying for support from Music in the Park must fully complete an application form and submit it to Music in the Park for consideration. Music in the Park currently has a submission deadline 30 November each year. The Committee meets after this deadline to consider all applications received. Your organisation must be not for profit. Where the application is part funding a purchase or capital improvement, the grant will not be released until proof has been provided that all other funds required are in place. The application must be precise and cover in detail what the funds will be used for; any applications which the committee considers to be vague will not be considered. Once the grant has been received, Music in the Park will require receipts / invoices for the expenditure and a report on the benefit to the local community. Music in the Park will publish the names of all grantees on our website and in our published accounts. Any applications that have not been fully completed will not be considered by the Trustees. They will be returned, and the applicant asked to complete the form and resubmit it once all of the information has been completed. In some cases, if the Trustees feel the application is for a worthwhile cause but is requesting too much money or we cannot fund the whole amount, we will make grants for part of the costs. Before paying out the grants, we will ask for either a new costing or for funding to be in place from elsewhere for the rest of the amount. NOTE: In accepting a grant, you consent to Music in the Park arranging a photo of the cheque presentation and using it for publicity purposes. You are also encouraged to publicise the grant award through your own channels. To work alongside Thame Town Council and other community groups to improve the facilities in Elms Park Thame for the benefit and enjoyment of the public. To assist in the provision of facilities in the Thame area, through grants, in the interests of art, music or recreation, or other leisure time occupation of individuals or organisations that live or operate in the Thame area. 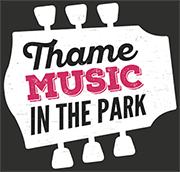 To promote art and music for the benefit of the public by the establishment and maintenance of a Music in the Park Festival on Elms Park, Thame, or elsewhere in the town area.